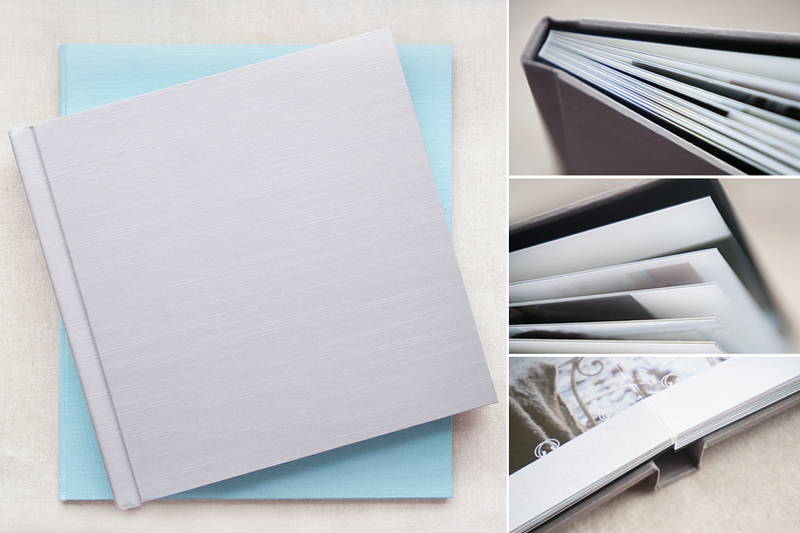 Our signature Bella flush-mount album features a 10”x10” cover with your choice of Japanese silk, English linen, or vegan leathers, and showcases your favourite images on rigid, handmade art paper pages. 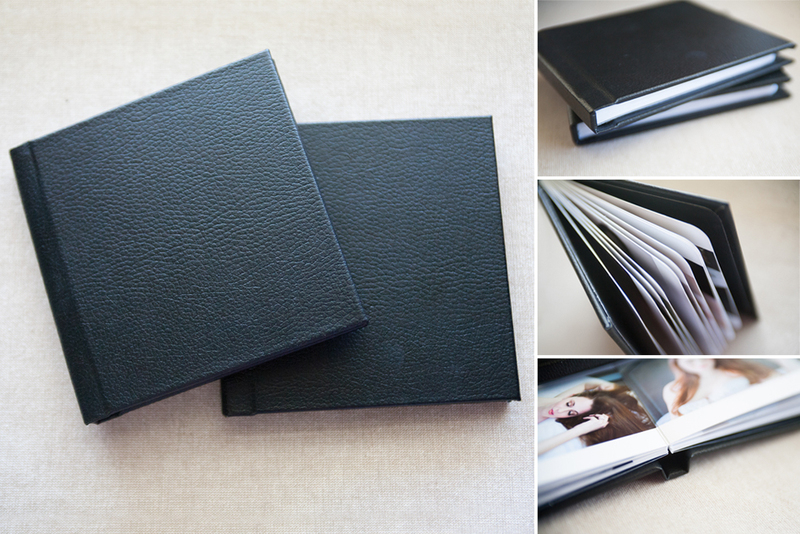 Our 5.25”x5.25” Little Black Book features a discreet genuine leather cover and twenty of your favourite images on rigid pages. Ideal for purses or briefcases. Our pages lay beautifully flat, so you don’t lose any of the image in an unsightly fold. A percentage of every book or album order goes towards Thirst Relief to help provide clean drinking water to communities in impoverished countries.